First Xbox One update set for March, white console to follow? 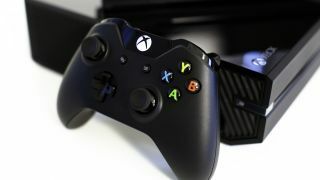 The Xbox One is reportedly set to get its first big dashboard update in March, fixing a number of problems with the Xbox Live service. According to "sources familiar with the plans" speaking to The Verge, the update will include a fix for Party-chat problems and make other general improvements to Xbox Live's social features. The other goods news is that the white Xbox One, initially for Microsoft employees only, is reportedly coming in October. That's according to a person posting on NeoGAF, who says the white box will be released to coincide with the launch of Sunset Overdrive. That same person also claims we might see a 1TB model of the Xbox One in November, and that Microsoft has been testing versions of the Xbox One without an Optical Disk Drive. The Verge says it's confirmed this rumour of a disk-drive-less Xbox One with its own sources, but we'd still advise a pinch or two of salt.